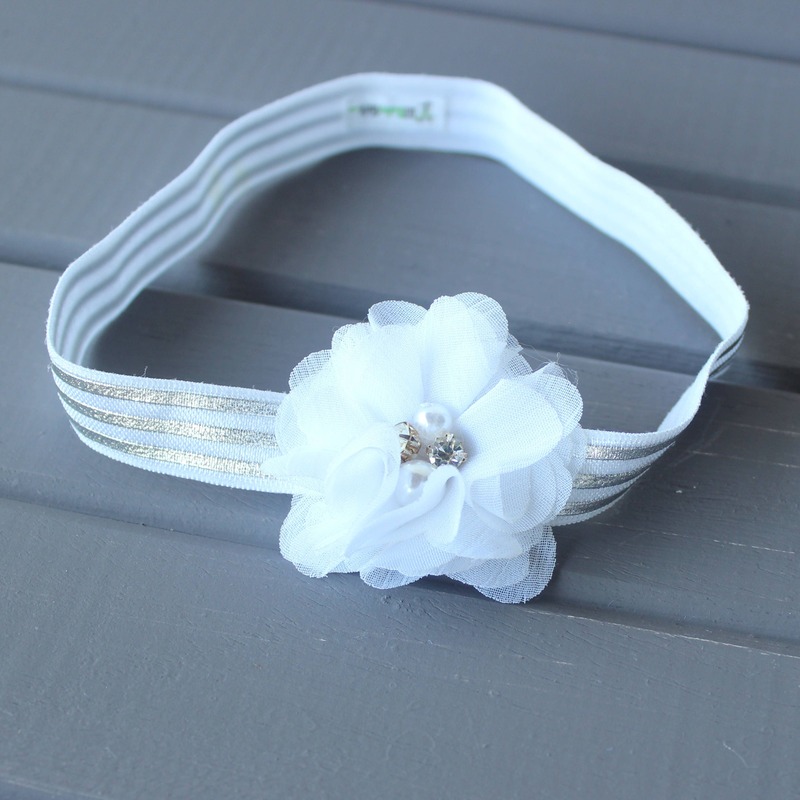 This headband is so beautiful and elegant! 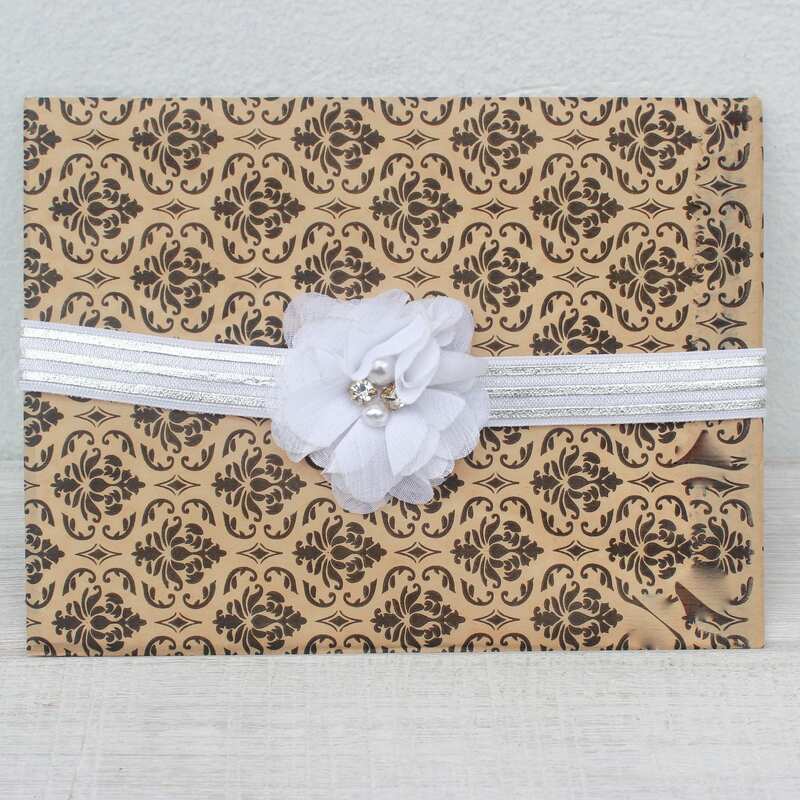 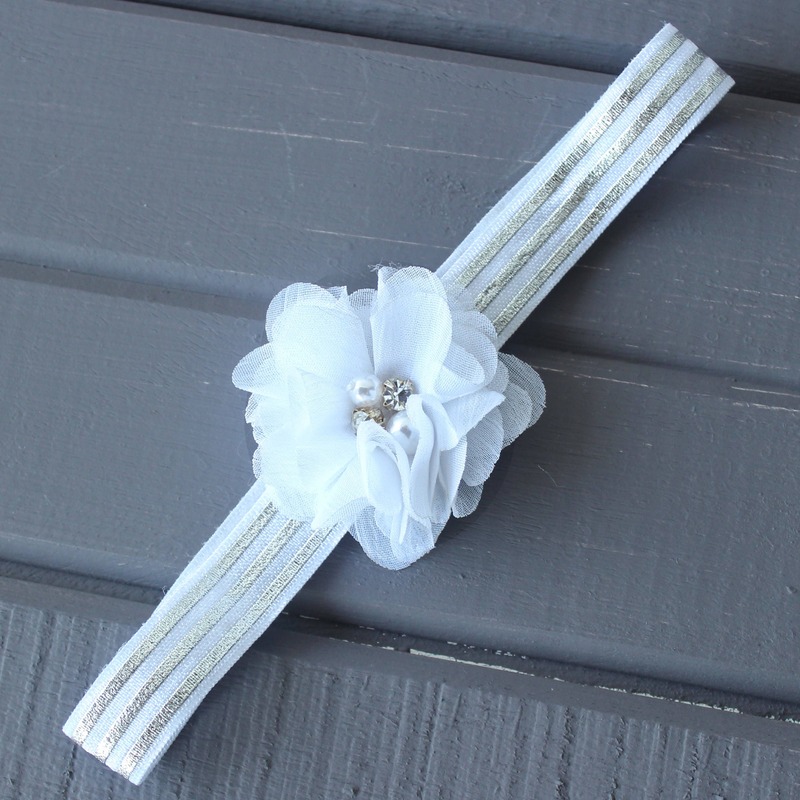 It is perfect for weddings, flower girls, birthday party, baby shower gifts, baby girl gift. 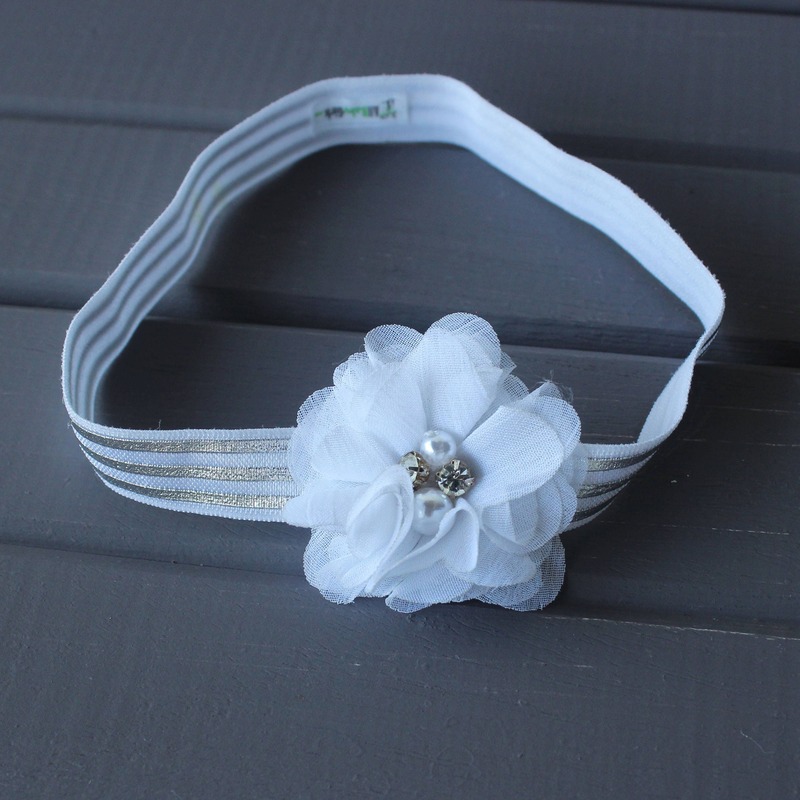 The flower is felt backed for comfort and sit on top of a soft matching elastic headband for a perfect fit. 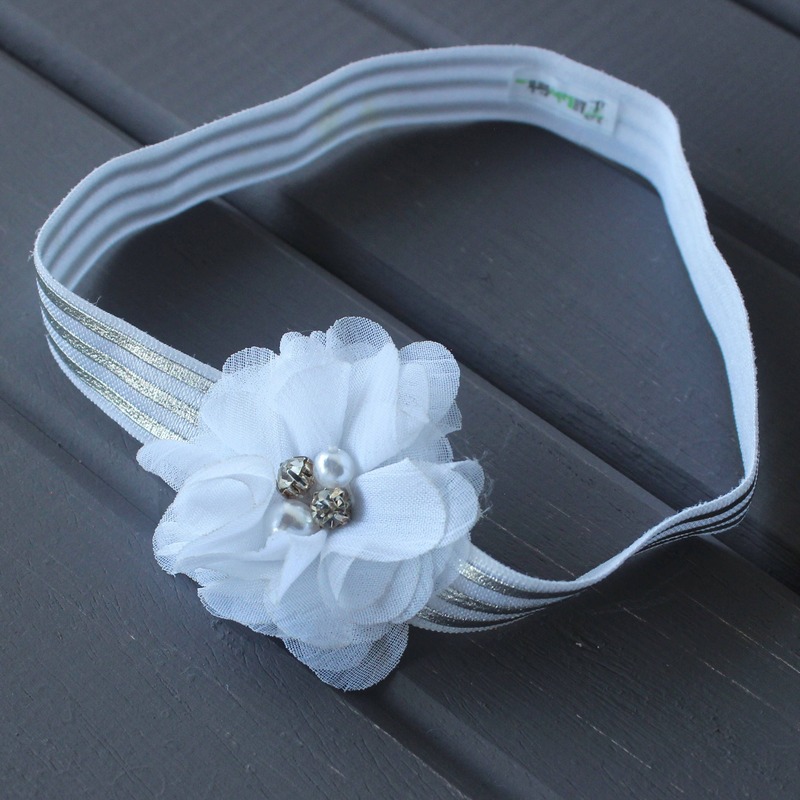 This headband is perfect for Baptism, birthday girls, flower girls, wedding, baby shower gifts, newborn girl.